Dubai: The head of DP World reiterated on Sunday that he expected 2019 to be a “challenging year,” adding that the company is taking a “cautious approach” towards its costs. Sultan Ahmad Bin Sulayem, chairman of Nasdaq Dubai-listed DP World, said that events such as the UK’s exit from the European Union (Brexit) and trade tensions between the US and China heighten uncertainty and confuse investors. He said he was not concerned about trade tensions, however, as he believes they will end. “The United States and China [are] two giant economies, and both need each other. They’re negotiating. In my opinion, all these threats are part of the negotiations, and they will come to an agreement,” the chairman said at a press conference in Dubai. “Until they come to an agreement, they have created uncertainty in the market… I don’t take [trade tensions] as something negative. I think it is something to take notice of, to watch, and be aware of,” he added. Bin Sulayem’s comments are a reiteration of his statements from late 2018 when he said there is “general caution in the market given the current uncertainty in global trade,” highlighting the challenges that such uncertainty creates. On Sunday, the chairman said he expected trade tensions between the US and China, which have both imposed tariffs on products worth billions of dollars from each other, to end. He also pointed that DP World’s concessions for ports in other countries tend to be for around 50 years, so the company’s approach is a long-term one. Discussing other challenges this year including Brexit, Bin Sulayem said DP World has already calculated a worse-case scenario for Brexit, and is more concerned about the lack of clarity regarding the direction the UK is heading. The company operates a port and free zone in London. “In my opinion, the indecisiveness of the government — ‘yes, we’ll do it, no, we won’t’ — is what confuses investors. We don’t know if [Brexit is] going to happen with an agreement, or without an agreement, or if they’re going to renegotiate, or if the [political] party will be supportive or not… and that’s what hurts the market the most,” he said. Bin Sulayem was speaking at an event to discuss the results of a recent report by the Boston Consulting Group on the economic impact of DP World’s Jebel Ali Port and Jebel Ali Free Zone. The report said the port and the free zone accounted for 33.4 per cent of Dubai’s Gross Domestic Product (GDP) and 10.7 per cent of the UAE’s GDP in 2017. It added that the port and the free zone contributed 16.2 per cent of Dubai’s employment. 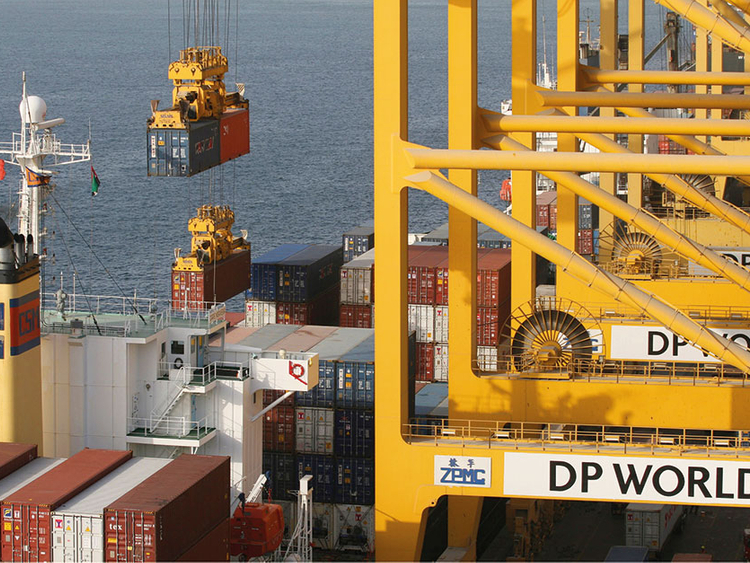 In 2018, DP World invested Dh1 billion into the expansion and growth of both Jebel Ali Port and the free zone, with plans to invest Dh500 million into the port and free zone this year.